Quite aside from being one of the most popular flavoring agents, the therapeutic value of Peppermint has its roots in herbal use from the beginning of man's first association with it. It has been sought out through the eons of time as a pleasant refreshment. Its leaves are chewed, teas are made from its leaves as well as the oil. The use of these brings an exhilarating aromatic sensation as well as fresh oxygen for well being. Mothers have long known a cup of the tea will relieve baby's colic. A touch of peppermint oil to the tongue of a baby or adult pushes distressful gas from the body and settles the stomach (especially good to calm morning sickness). The oil's modern, innovative use is part of the Herbal Adjustment explained under its own heading in this book. A partial list of Peppermint's additional corrective services is diarrhea, dizziness, convulsion, earache, fainting, fevers of all types, stomach and bowel gas, nausea, nervous headache, restlessness, motion sickness, spasms, toothache, vomiting and heart palpitations. * DOSAGE: 40 drops three times per day of the extract or as needed. 1 touch of the oil to the tongue or applied thinly but completely to area which is affected. (Do not put in eyes.) 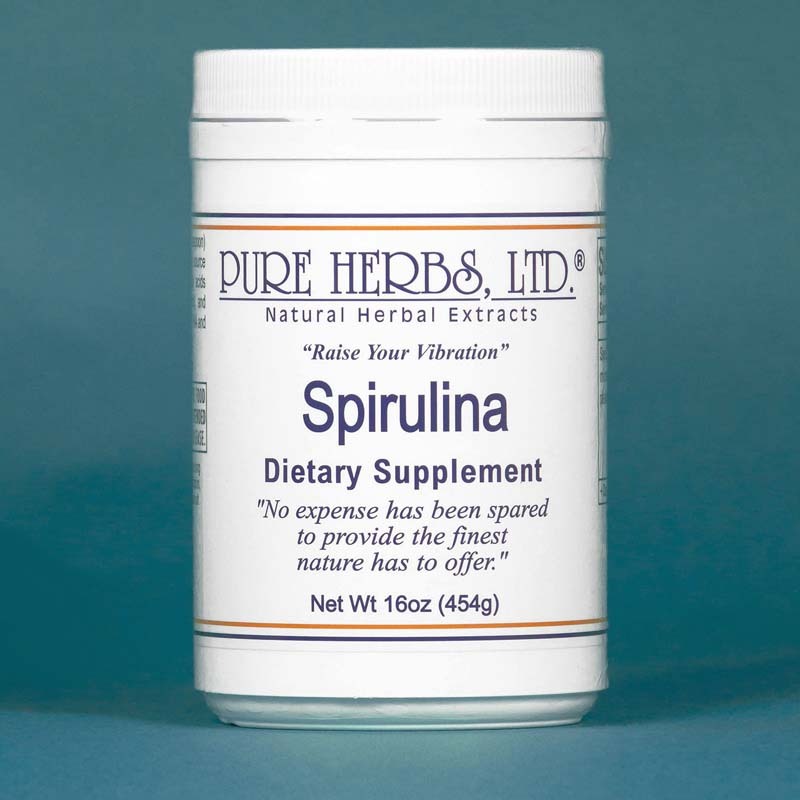 SOURCES: Dr. Eugene C. Watkins, "Get Well With Natural Remedies;" Alma R.Hutchens, "Indian Herbalogy of North America." Oxygenator; settles stomach; motion sickness; apply to headache area; refreshes breath; cooling; if fever, apply to temples, forehead, tongue and back of neck. 4 oz. Why do your oils have lids with a dropper on the side? If you leave the dropper in the oil, eventually the oil will eat away at the rubber stopper, possibly causing your oil to leak. So, please make sure to store your oil with your lid on and not your dropper. Use your dropper only when you need to use your oil. 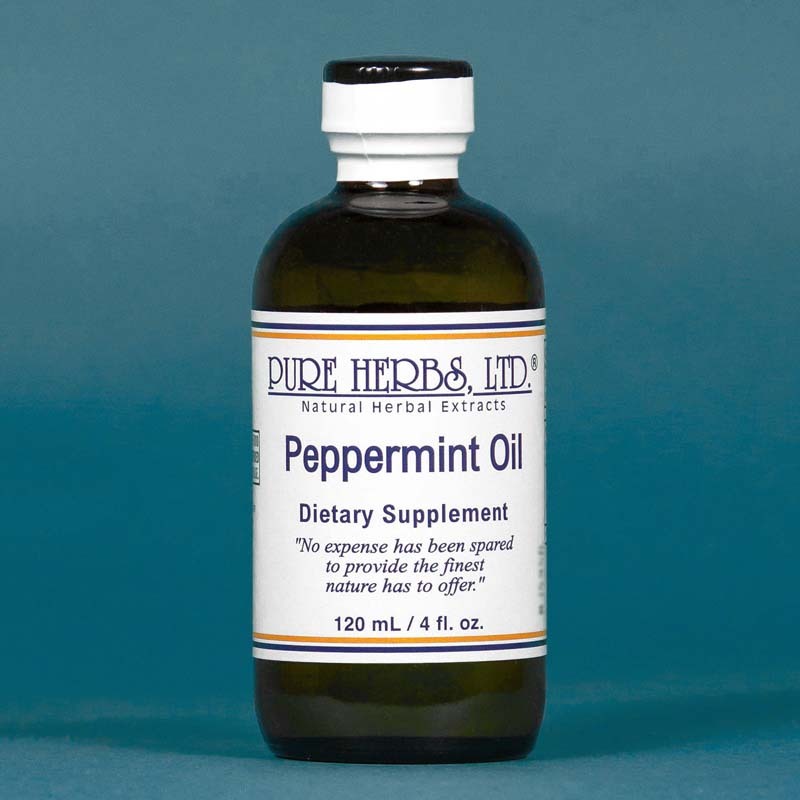 NOTE: Peppermint Oil from Pure Herbs is different from essential oils in that it is distilled several times. It is very pure, but not in the same way as essential oils.